Let’s get the first and most obvious question out of the way: Why is it called Julius? The long answer has to do with the most influential people in history, one of whom is Julius Caesar and his name has more of a ring to it than others. The short answer is that it’s a better name than Thuzio, which is what the platform was called before a rebrand expanded the company’s focus. Founded in 2012 by former NY Giants running back Tiki Barber, along with Mark Gerson, Thuzio was a precursor to what would one day become Julius. Thuzio was something of a personal mission for Barber, who watched a lot of his ex-colleagues, retired American football players, struggle to adapt to “civilian life” once left the sport for good. Thuzio became a kind of web-based talent agency for current and former athletes, looking to make extra money with appearance fees and endorsement deals. As Thuzio continued to grow, many of the athletes they represented were doing well with social media endorsements. Barber & Co. noticed what they were doing looked a lot like influencer marketing, and saw an opening to take Thuzio even further. 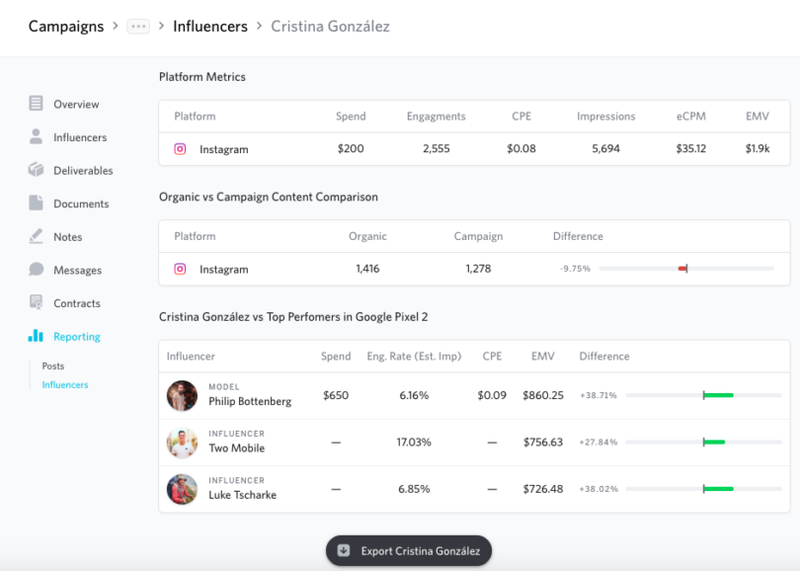 One name change and several years later, Julius has grown from a purpose-built influencer discovery engine to a full-fledged self-service marketing suite. There are nearly 120,000 influencers in its database, each sitting on a mountain of data about them and their followers. With a number like that, you’d be forgiven if you assumed that it was all algorithms and automation under the hood—but that’s not entirely the case. 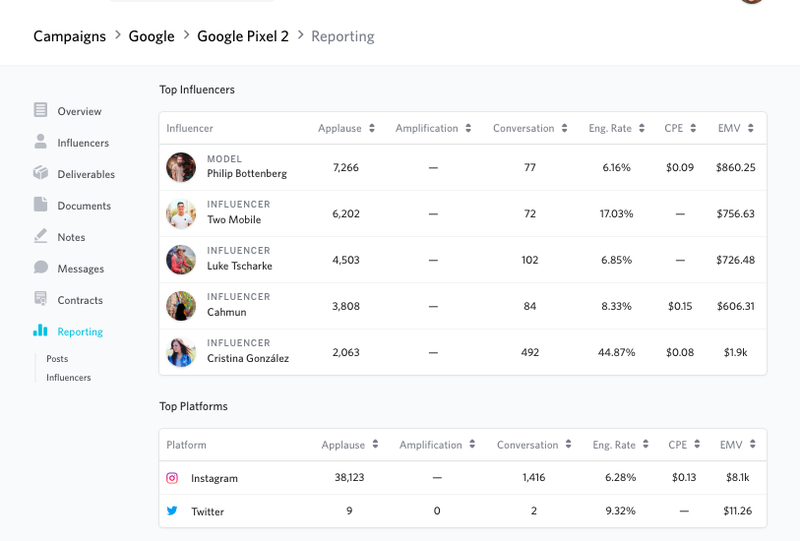 This is an important distinction: most influencer platforms get their influencers and data through automation and AI. Some of that data is just grabbed directly from a social platform, but other bits of information are extrapolated conclusions based on that data. 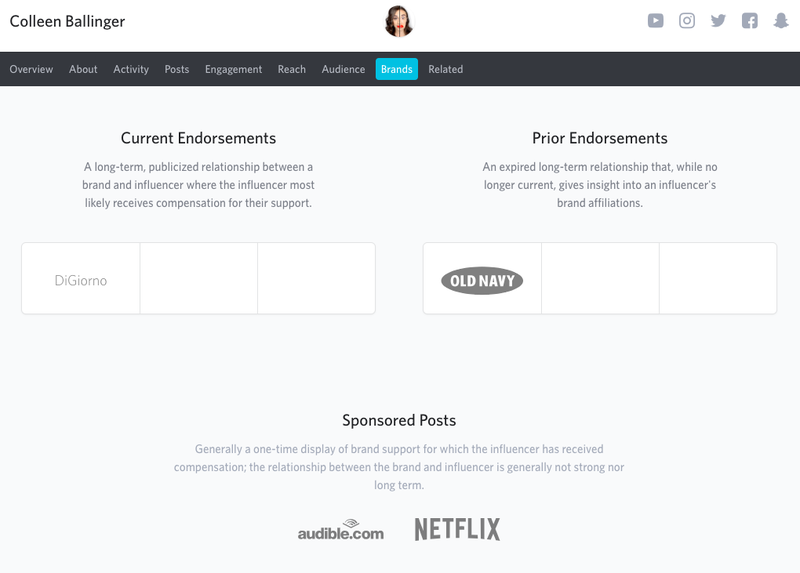 Before any influencer goes live on the platform, it is fully vetted by humans who can flesh out their profile. When we first looked at Julius back in early 2017, it was still just a discovery engine but we were immediately grabbed by the data underneath it all. 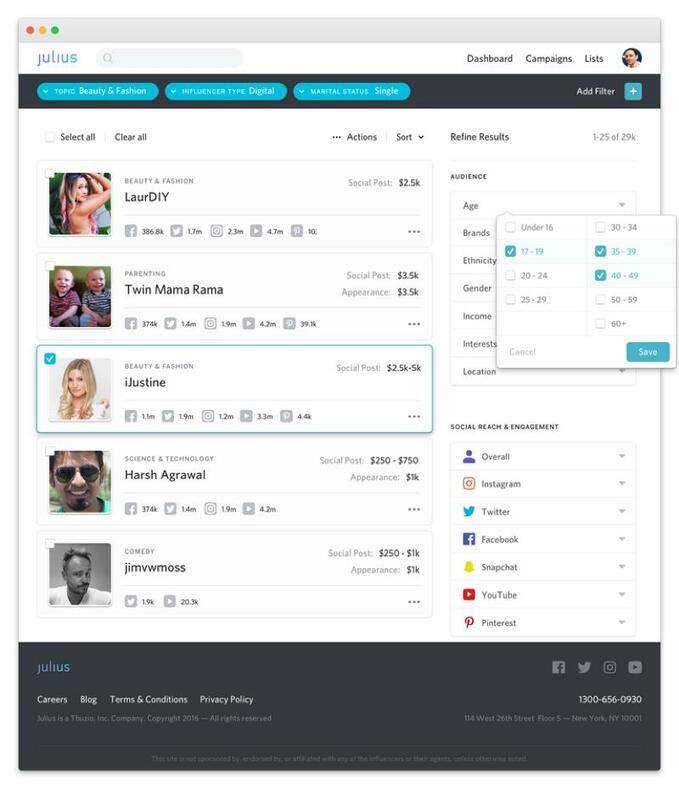 With over 50 different crtiria for narrowing a search—covering demo- and psychographic data for influencer and audience alike—searching for influencer became an act of pinpoint precision. 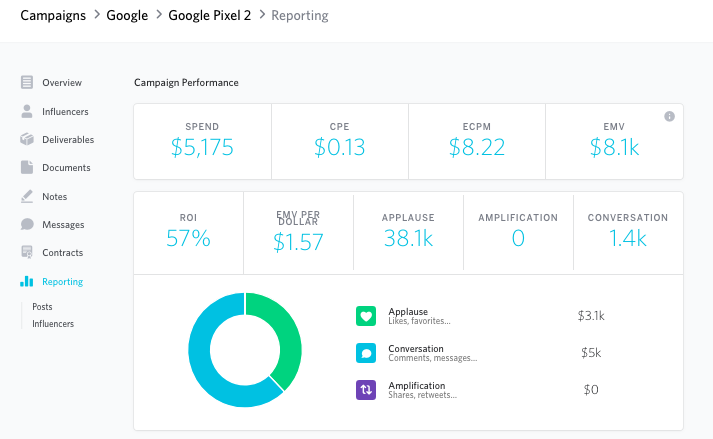 It made for a powerful complement to other platforms that were more focused on campaign management. In the 18 months since then, however, pretty much everyone’s figured out the data is where it’s at. It’s no longer rare to get the kind of insights Julius was delivering—the same campaign management tools that would have made a good accompaniment to Julius are now offering pretty deep analytics as well. Such a development would have spelled bad news for Julius’s future were it not for the fact they were busy building a robust suite of campaign management tools. These days, the platform is all-in-one, appealing to both brands and agencies—and probably making more than a few of its competitors nervous. Julius is software-as-a-service, but unlike other search platforms you pay an annual fee—there is no monthly option. The specific fee you’ll pay is contingent on the number of users you’ll want to have access to the software. Each case is different, so we can’t give exact numbers. We can say that the annual cost of using Julius is in line with competing products. Regardless of the number of users, all subscriptions come with complete access to the platform, unlimited messaging, custom influencer lists, and a dedicated and on-demand account manager for guidance/assistance. When you first log in to Julius, you’re presented with a dashboard, though it’s not like any dashboard you’d find in a competitor’s solution. 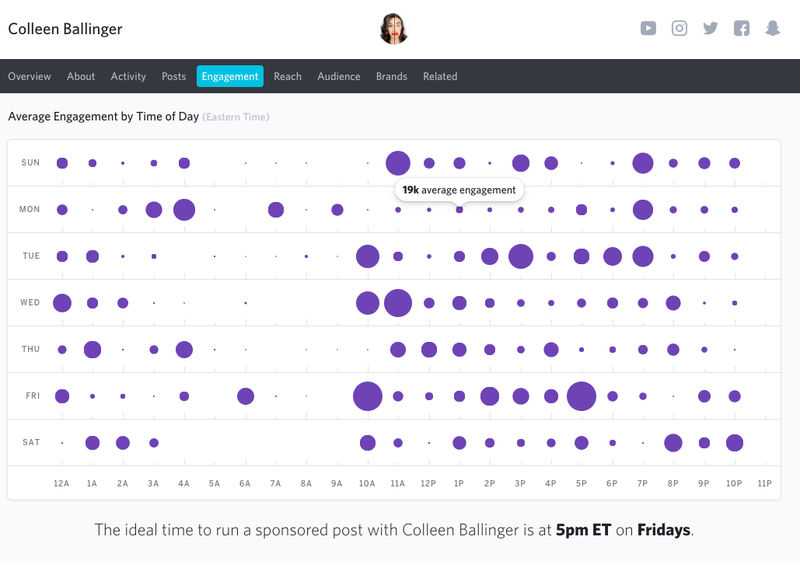 There’s no overview of activity relating to your account—no metrics from current campaigns, no updates on your influencers’ activities. 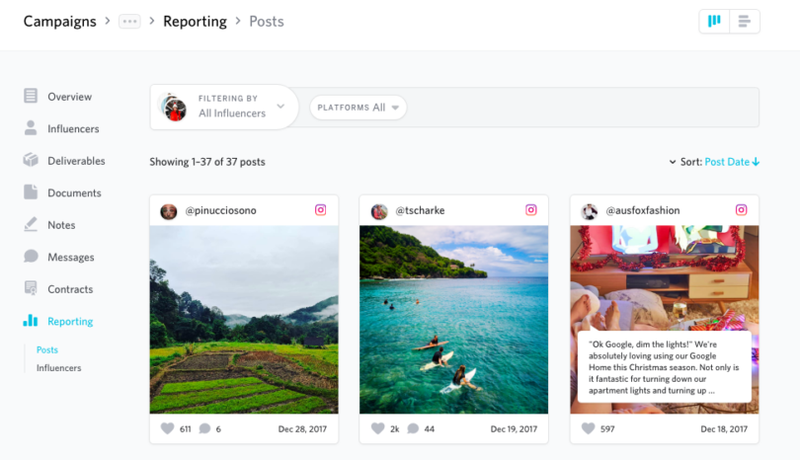 Instead, you get something like a social feed, announcing new influencers to the platform, new brand/influencer affiliations, and a curated feed of industry related news. It’s actually pretty cool: when I learned that the dashboard would include more user-specific information in an upcoming release, it was also good to hear the current feed content wasn’t going anywhere. Of course, when you first log into Julius, none of this matters. You need to start finding and working with influencers before anything else. 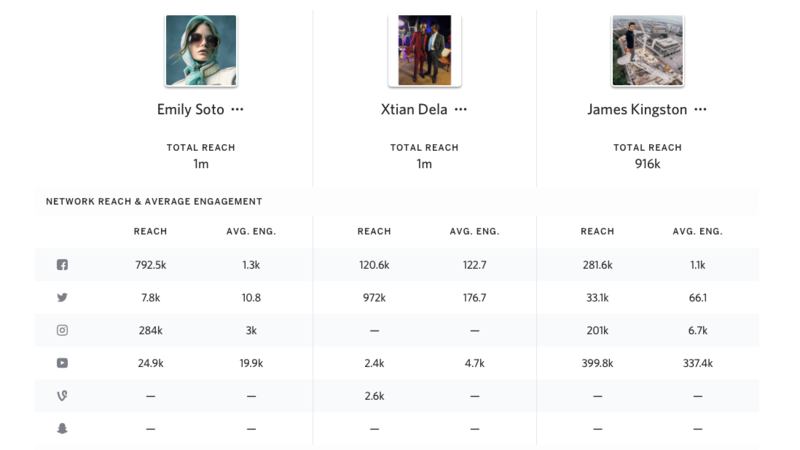 Alternatively, you can add in any influencers you’re working with if they’re not already on the platform, and the team at Julius assists in getting their profiles and data fully researched and vetted before it goes live. It’s this process that lays the foundation for the quality and quantity of data insights you’ll get with Julius—a rich data set that doesn’t provide for detailed reporting, but also makes for wildly detailed searches. There are over 50 data points to choose from, covering attributes of the influencers and their audiences. Want to search for a female digital superstar, located in Los Angeles, with an interest in surfing, and whose audience consists of white males aged 25-34 who are fans of craft beer and make between $20k and $40k a year—you can do that. If someone exists that meets those criteria, Julius will find her in seconds. Within all these search results are easy mechanisms for creating and maintaining lists of influencers. You can create lists on the fly, or add influencers to existing ones, and they can be shared among team members. The lists even have ways of making sublists, which can be used to track or organise just among those influencers. If you have a list of people who you’re sending products to, the sublists can be used track who’s in what stage (Delivered, Received, etc.). Or you can organise them into lifecycle categories (Approved/Not Approved, Awaiting Response, and whatever else you want). 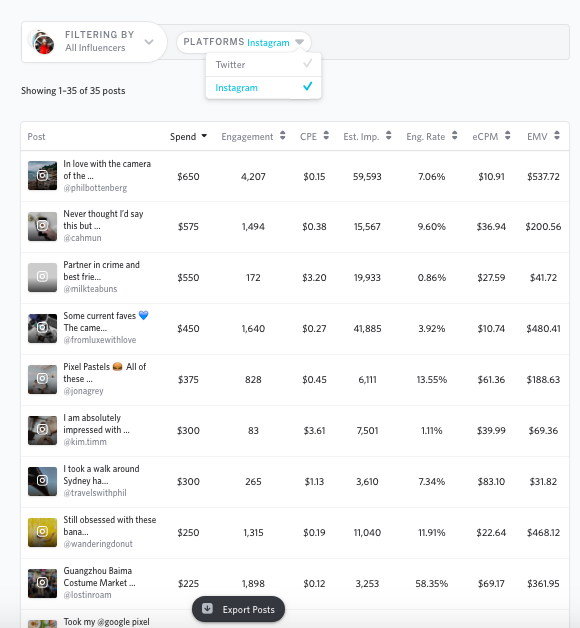 There’s also an impressive comparison feature, up to five influencers at a time, that makes it dead-simple to see how they stack up against one another. And any of these lists and comparisons (and influencer profiles) can be bulk exported to PDF, customised with brand logos. One way that the human contribution can be seen in Julius is in the way it connects information. Within an influencer’s profile, you can see her interests she posts about as well as any causes she might be aligned with. 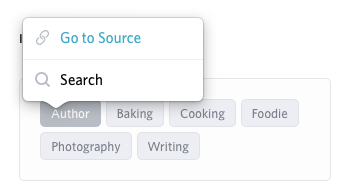 Click on an interest—let’s say baking—and you can follow a link that shows you an example of that in action—maybe an Instagram post of a cupcake. If she’s an author, you can follow the link to her Amazon page. If she’s involved with a cause, you can view content she’s produced in support of it. Any previous endorsements she’s done (or is currently doing) and brand mentions are all part of the record. You can also see in the above screenshot the way the information is organised for each influencer profile. The “Brands” heading is highlighted in that shot, but notice there are several other headings to dive deep into the world of an influencer. Of note is the “Engagement” tab, since it’s not just a series of statistics showing you how the number of likes/comments/etc. on any given post. Instead, it gives you information that’s more useful, like a comparison of engagement on organic vs. sponsored posts, or what days and times seem to be the most effective time to post. 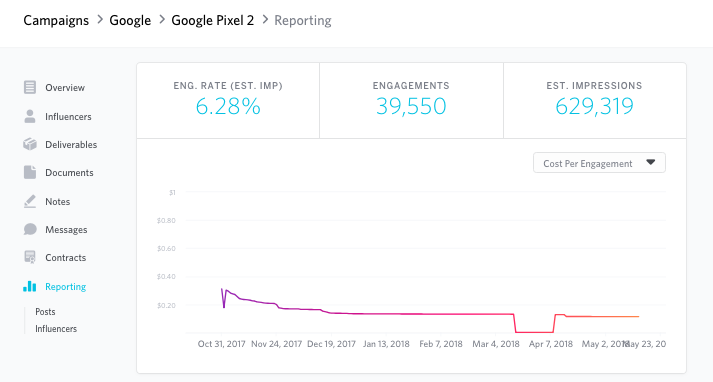 The clean and logical layout of information and data is something that extends to the platform’s new campaign management tools, too. Because Julius was initially conceived as a discovery tool, adding in these features could have easily ended up being a case of a company scrambling to stay competitive: add in the bare minimum just to have it and keep the spotlight on existing strengths. That is absolutely not the case here. What the team at Julius have added is as robust as you’d expect from a company doing this twice as long. And, honestly, Julius’s campaign management is better than many companies who’ve been doing it twice as long. Anything you want to know about any aspect of a campaign is easily knowable. Want to know the status of all the content you’re waiting on? Click on the “Deliverables” section and see who’s posted, who’s waiting on approval, and who’s still keeping you waiting. 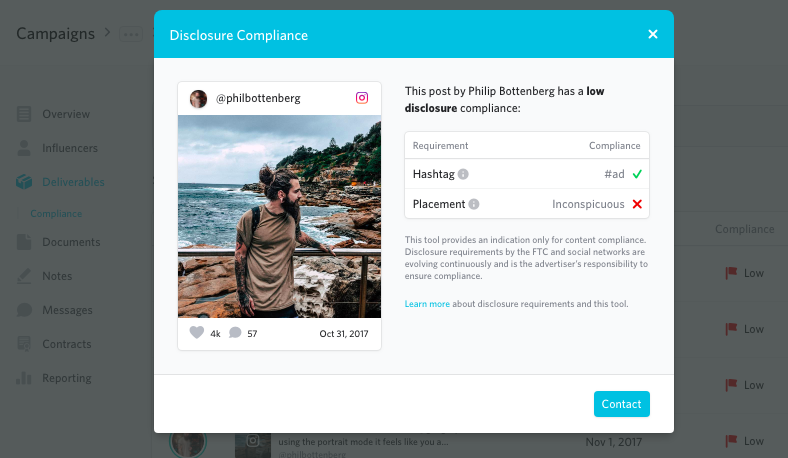 There’s even automated Compliance tool that alerts you if any posts submitted for approval have run afoul of regulations. 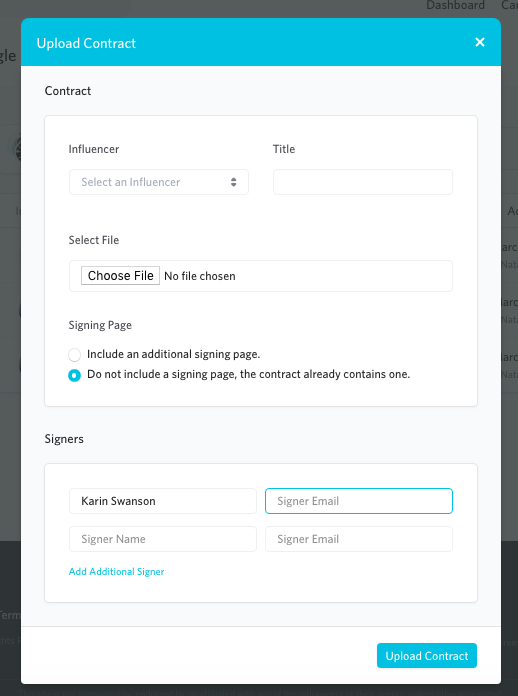 You can also use Julius as a central repository for influencer contracts, as well as for any messaging that occurs around each campaign. The messaging feature isn’t quite automatic, though. You’ll use email as usual, and make sure you BCC an address that sends all the messages into the right place within Julius. If there were a way to monitor the performance an influencer’s content within that tool, this would be 5-star software. In the year and half since we posted that, the influencer marketing industry has continued to evolve and mature. 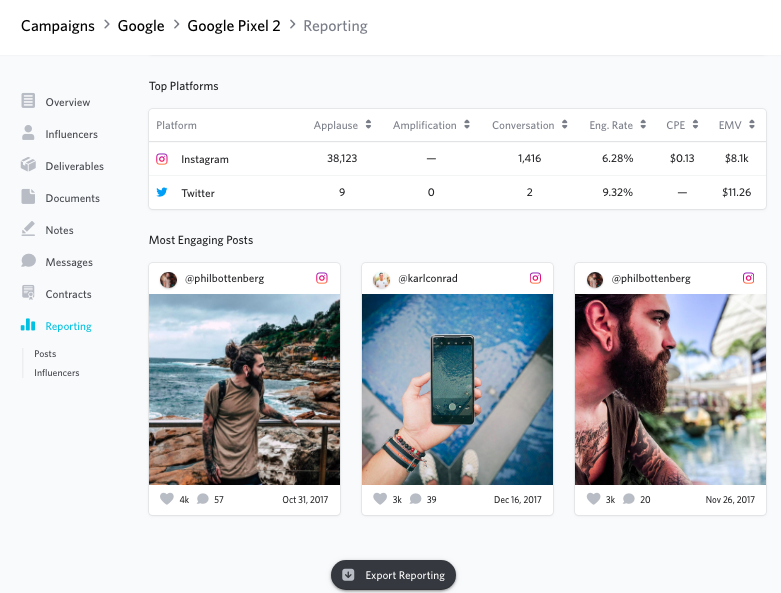 It’s also created a kind of gold rush for developers looking to capitalise on filling the needs of marketers and influencers trying to navigate this new(ish) way of doing things. Of course, like any rush toward a new opportunity, a fast rise can turn into an equally quick fall. Even the most promising of companies can suddenly find themselves wanting; i only takes one misstep to fade into irrelevance (and we’ve already seen some companies pack up and go home). But now here we are, 18 months after our initial review and and it’s clear that Julius isn’t going to be one of those early casualties. Really, all they had to do was add in a simple way to monitor post/influencer performance to build on their early success. They went much, much further. 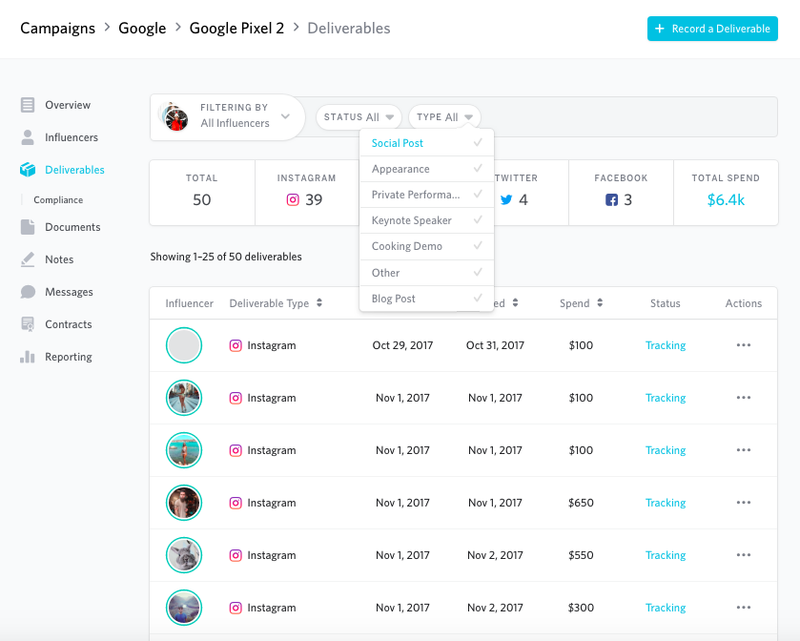 Add to that a search function that pokes into dozens and dozens of data points on over 100,000 influencers, each of whom have been vetted by a real person, and the fact they are still working on adding several more features by next month. Julius hasn’t just stayed relevant. It’s looking like a contender for the long haul.